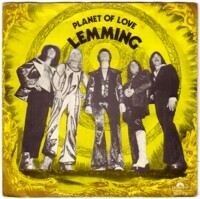 There is another Dutch glamrock band from the mid seventies that should be mentioned in this Soundtrack: Lemming. They still exist, or at least they still existed a year ago. I have no idea how they sound nowadays; the last record that I bought from Lemming is from 1981, Crazy spider . And although it is by far not the worst record in my collection (you don’t want me to elaborate on this), I love their early records too much for checking out their later records. 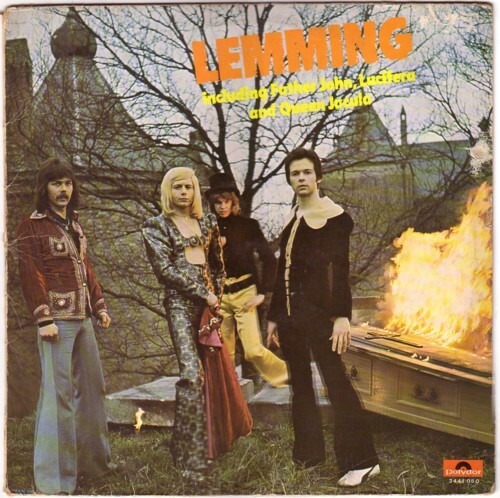 What I like about the early Lemming songs is the sound in combination with the horror themes. Songs like Lucifera, Father John and Queen Jacula (great title) were hits in Holland and I cannot remember any other bands that made such records. Their first LP is a real killer. There is not a weak song on the record, and they even left out their first (?) single, Evelyn . Here is Fun with me, a song inspired by another glamrock band, The Sweet. 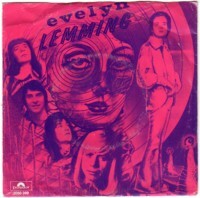 If you happen to know if my fear, that the later Lemming CD’s will disappoint me, is incorrect, please let me know. I could sure use more of this music! Hey! I LOVE your webpage-it’s really cool, but none of the songs play when you click on them! Am I doing something wrong? I have heard alot of the stuff you have, and even have some it as well, but would love to give my ears more if I can! keep up the excellent work!